packages are always so much fun to receive in the mail; especially unexpected ones. imagine our surprise, when we received a package from none other than chewy! i knew i wasn't expecting anything from them so i tore it open and what a surprise! a portrait of my grand dog, aoife! how adorable and how sweet. 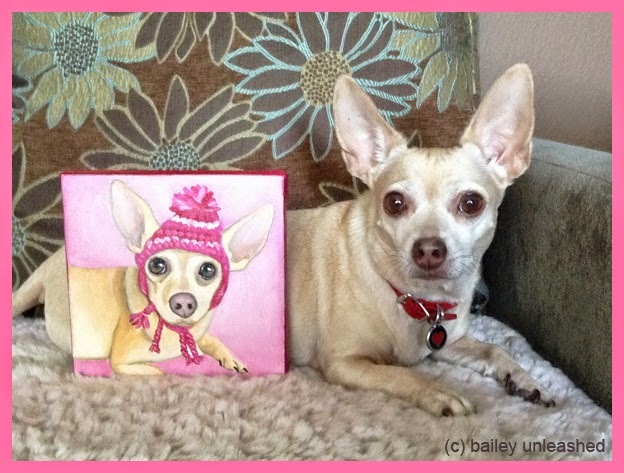 Oh Bailey you got one of those gorgeous portraits as well! 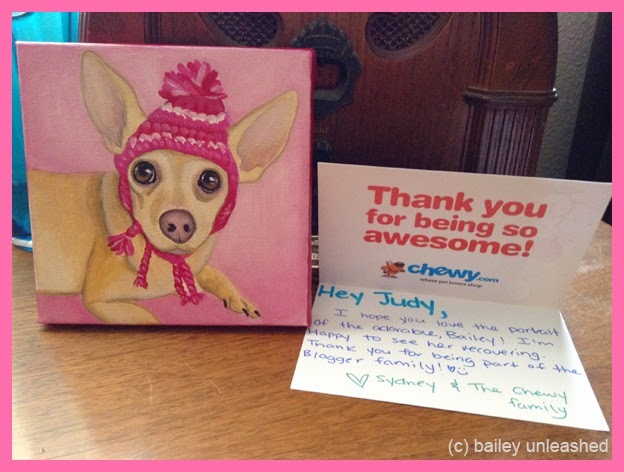 Those guys at Chewy are luffly aren't they! isn't that just the cutest painting ! What a wonderful card! Very cute picture. That's such a good likeness of Aoife! What a sweet surprise. Good job, how nice of Chewy. They have good fast service, we like them too.